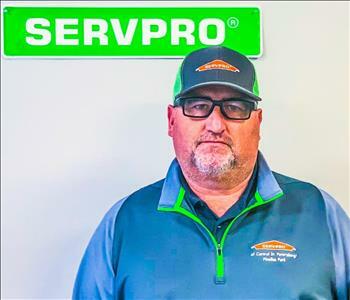 Bill Repsel is the General Manager at SERVPRO® of Montgomery County. Bill joined our staff in 2013 and is the key to ensuring a smooth work flow. Bill is certified by the Institute of Inspection Cleaning and Restoration Certification (IICRC) in: Water Damage Restoration and Applied Structural Drying. He is also DryBook and Xactimate certified. Brian is our Chief Financial Officer. 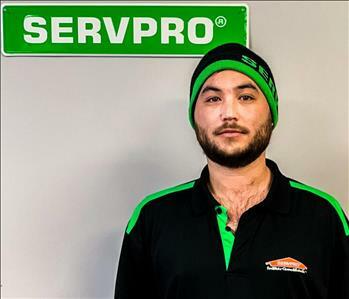 He joined our SERVPRO team in February 2017. Brian comes to us with an extensive background and education in accounting. Brian is a native of Clarksville Montgomery County and is great addition to our team. He will be using his accounting skills in both our mitigation and construction endeavors with certifications in Xactimate. Jeff Williams is our Operations Manager. Jeff joined team Nicholson in May of 2016. He comes to us with extensive knowledge and expertise for both residential and commercial mitigation work. Jeff certified through IICRC with Water Damage Restoration, Applied Structural Drying, Fire & Smoke Restoration, Carpet Repair & Reinstallation and Upholstery & Fabric Cleaning. 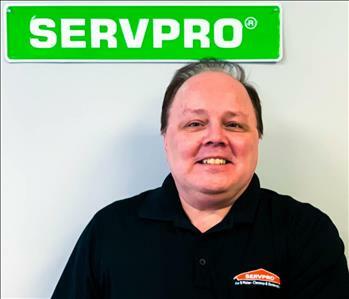 Phillip Ledbetter is the Production Manager at SERVPRO® of Montgomery County. Phillip has many years of experience with SERVPRO and has the following certifications from the Institute of Inspection Cleaning and Restoration Certification (IICRC): Water Damage Restoration, Applied Structural Drying, Upholstery & Fabric Cleaning, Biohazard, Applied Microbial Remediation and Fire & Smoke Restoration. Bobby Bushnell is a Production Manager at SERVPRO® of Montgomery County. Bobby joined our team in May of 2014 and is certified through the Institute of Inspection Cleaning and Restoration Certification (IICRC) in Water Damage Restoration, Fire and Smoke Restoration, Applied Structural Drying, Applied Microbial Remediation, Lead Renovator, and Biohazard. He also holds the Air Systems Cleaning Specialist certification through the National Air Duct Cleaners Association (NADCA). Kevin joined team Nicholson in January of 2016. He comes to us with several years of SERVPRO experience. Kevin is one of our Large Loss Project Managers, and when not traveling, he assists in many other roles within our team structure. Kevin is certified in Water Damage Restoration, Applied Structural Drying, Upholstery & Fabric Cleaning, Fire & Smoke Restoration, Applied Microbial Remediation, and Lead Renovator. 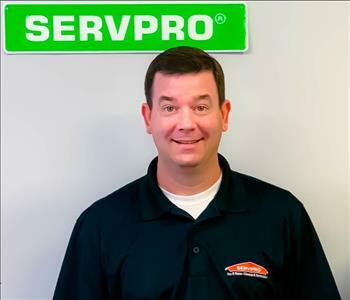 Thomas Durrett is our Sales and Marketing Manager at SERVPRO of Montgomery County. He is a Clarksville native coming to us with years of knowledge and experience within our community. Thomas joined team Nicholson in October of 2016. Thomas has certifications in Water Damage Restoration and Applied Structural Drying. Robert Allen is our Construction Manager at SERVPRO of Montgomery County. Robert has over 15 years of quality experience in the construction field. Robert is certified in Lead Removal and Subrogation 1 Training. No job is too big or too small, give him a call today! Kevin Biggers is one of our Construction Managers. Kevin joined SERVPRO of Montgomery County in November of 2016. We are excited to have him come on board. Kevin was and is one of our customers that has dealt with first hand experience with the emergency services we provide. Kevin is certified in Lead Removal and Xactimate. Call him today for a free repair estimate! 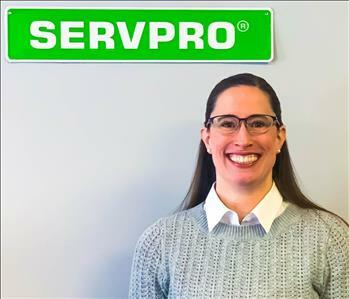 Cassie joined SERVPRO of Montgomery County in May of 2014 and is currently our Accounting Clerk. She comes to SERVPRO with a background in the accounting and secretarial fields with certification in Xactimate and DryBook. She graduated from the University of Phoenix with a Bachelor of Science degree in Accounting. We are so happy to have her with us! 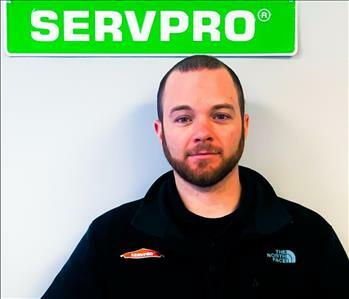 Ryan Millard is our Sales and Marketing Representative at SERVPRO of Montgomery County. Ryan joined Team Nicholson in June of 2018 and has many connection in Clarksville and the surrounding areas. Give Ryan a call today at (931) 449-3079! 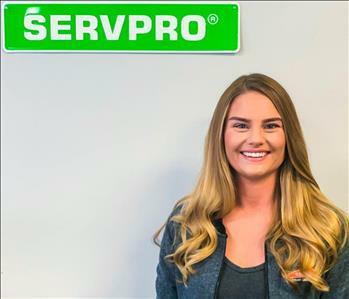 Victoria joined SERVPRO of Montgomery County as an Adminisrative Assistant in March of 2016. She provides excellent customer service through phone, email and face to face interactions. She performs detailed and accurate data entry daily. Victoria has certifications in Microsoft Office, Xactimate, SERVPRO ECPT Training, Subrogation 1 Training, and American Red Cross Disaster Services. She is a tremendous help in keeping the office running efficiently! Lindsay is our Administrative Assistant in our Construction division. Lindsay joined team Nicholson in January of 2018 She's known as our 'office comic relief' and in her spare time she loves to read and paint. Lindsay is certified in the Xactimate Fundamentals. Sunny is a native of Clarksville, and just recently returned to her home roots after a period of time in Virginia. Sunny is the newest of our Administrative Assistants. We are excited to have Sunny join Team Nicholson. Matt is a member of our construction division here at SERVPRO of Montgomery County. He has a vast knowledge of construction and finishing work, including excellence with drywall hanging and mending. Jeremy Ellis is our Sr. Crew Chief and apart of the Large Loss Travel Team at SERVPRO® of Montgomery County. 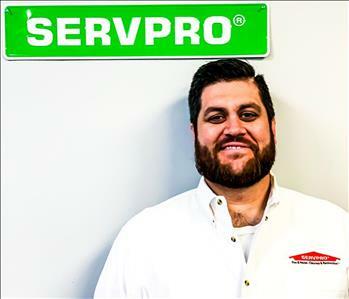 He joined SERVPRO® in September of 2012 and holds the following certifications with the Institute of Inspection Cleaning and Restoration Certification (IICRC): Water Damage Restoration and Applied Structural Drying. He also holds the Air Systems Cleaning Specialist certification through the National Air Duct Cleaners Association (NADCA). 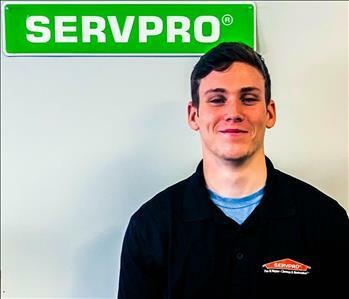 Alec is not a stranger to SERVPRO. He has worked in our Florida location and our Tennessee location. Alec is a native of Clarksville and has returned to as a Crew Chief. He is ready to help on a moments notice. We are excited to have Alec on Team Nicholson. 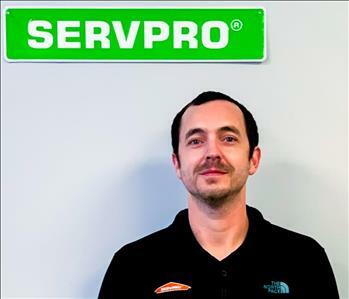 Matt Lawing joined the SERVPRO team in September of 2016. He comes to us as a Veteran of the United States Army and served here at Ft. Campbell. Matthew is one of our Production Crew Chiefs with certifications in Water Damage Restoration. Danny is one of our Production Crew Chiefs. 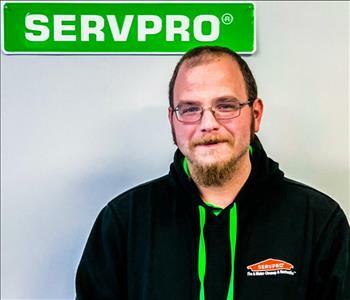 He joined the SERVPRO family in October of 2016. He comes to us with a diversified skill set. He and his family relocated here to Tennessee from California. He has been a great asset to the team and a fast learner. Danny is certified in Water Damage Restoration, lifts, and Lead Testing. 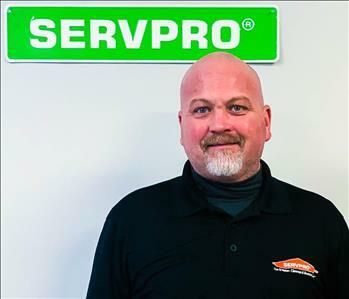 Randy Darnell is one of our Production Crew Chiefs joining SERVPRO of Montgomery County in February of 2018. 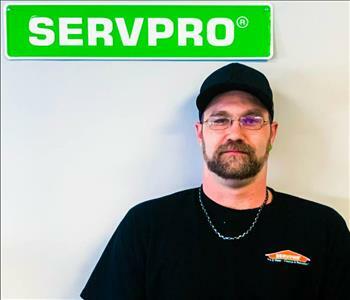 Randy is a Clarksville native and is certified through the SERVPRO ECPT Training Program. 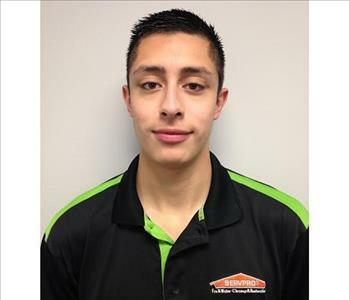 Leo joined SERVPRO of Montgomery County in the summer of 2016 as a Production Technician. He is a hard worker and fast learner! We are glad to have him on our team! Leo has completed the SERVPRO Employee Certification Training. Daniel Gonzalez is one of our Production Technicians. Daniel joined team Nicholson in June of 2017. He is ready and willing to help in any situation. Daniel has completed the SERVPRO Employee Training Program. Orrin joined Team Nicholson in June of 2018. 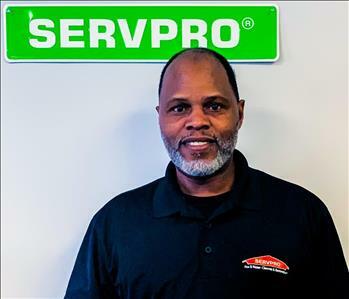 He has extensive knowledge in construction and has completed the SERVPRO Employee Certification Training Program.This program teaches advanced cleaning and restoration techniques and how to properly use our state-of-the-art equipment. This training program also focuses on listening skills and customer service. 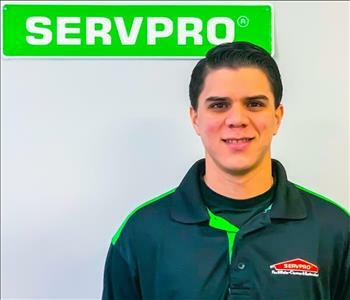 Brandon joined SERVPRO of Montgomery County in July of 2018. He has completed the SERVPRO Employee Certification Training Program. This program teaches advanced cleaning and restoration techniques and how to properly use our state-of-the-art equipment. This training program also focuses on listening skills and customer service. Brandon is ready to help to make it "Like it never even happened." SJ joined TEAM NICHOLSON in 2018. SJ is a member of our construction team. He is ready and willing to help assist with your construction needs. Ed is our newest team member to join Team Nicholson. He comes to us with a background of great customer service and business knowledge. He is a great addition to the SERVPRO team. Tyler is a native of California who has recently moved to Tennessee to join Team Nicholson. He has completed all of his training including his OHSA 10 Certification. Mia is our owner's Australian Labradoodle joining SERVPRO of Montgomery County as a puppy in 2017. Mia enjoys sitting in on daily WIP meetings, running around in the back lot, and greeting visitors at the door. Mia is a wonderful addition to Team Nicholson!